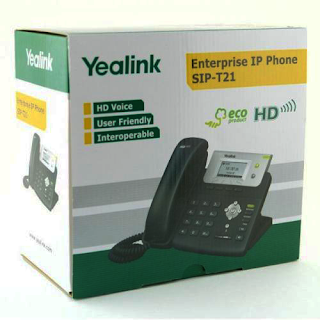 The Yealink T21P is an entry level IP Phone. It is in the same product class as the Snom 300, but comes in at about 20% cheaper. The T21 comes in two models, the T21P being the POE version, which is the one I will be looking at. The only difference between the T21 and the T21P is in fact that the T21P supports 802.11af Power over Ethernet. The T21P comes in a decent and sturdy box, and even the OEM product is shipped in a color printed package. The phone is decently protected against bumps by cardboard insets. Individual components are wrapped in plastic. The powers supply is notably absent in the T21P since it is POE powered. Boot up on this phone is rather slow, but not significantly worse than a Snom300. Coming in at about 1 minute and 30 seconds for the first boot, to the point where you can access the phone's menu system. The menu is very easy to navigate thanks to the large screen, and setting up the phone without using a computer is far less frustrating than with the Snom 300. The phone is very sturdy, though only time will tell how durable it truly is. The casing itself seems hard wearing, but the phone buttons feel a bit flimsy, especially the number pad. The handset itself also seems solid. While very few VOIP providers in our region have rolled out wideband audio, we can, at the very least run G722 internally. The difference in quality when compared to the industry standard G729 codec is like chalk and cheese. The added bonus is that G722 does not have the same licencing restrictions as G729 where Asterisk is concerned. The speaker in the handset delivers crystal clear audio, and does the claim to "HD Audio" justice. The speakerphone function also surpasses the Snom 300 by a significant margin. This phone is by no means a conference phone, but in a pinch it would actually be good enough. Since this is where most of the advanced configuration takes place, this is where administrators will spend most of their time, this is my main concern in terms of the phone's usability. It is still, unfortunately, ugly. Ugliness aside, the interface is logically laid out for the most part, but uncommon naming conventions (eg. DSSKey) may be confusing. The tips that accompany each configuration option is equally unhelpful. These two issues aside, the interface is responsive, and easy to use. 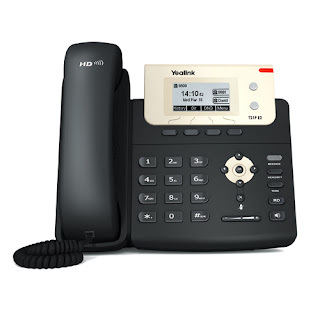 I actually prefer the Yealink interface over the Snom one. Where the Yealink interface does shine is in the auto provisioning department. 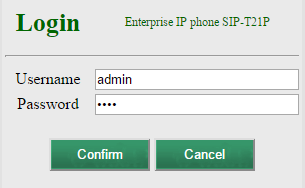 Once you have set up your first phone with all your generic configuration, you can download the config file, and using DHCP you can push that config file out to all the other T21Ps on your network. With the recent increase in failure rates on the SNOM 300 that we have experienced, this is a very good alternative. Deployment is made easy through the auto provisioning feature, and the user interface is great for new users. All in all, a highly recommended entry level IP Phone. The first time I deployed these phones in bulk, I discovered a firmware bug relating to VLANS. Upon reporting this, the problem was fixed and I was provided with an updated firmware within a couple of days. That kind of support counts quite highly with me. It is true that the cell phone is constantly with you, although you might not always like to depend on it as every person who had a dropped line knows. The Yealink T21P Desk IP Phone makes full-use of high-quality materials and comes with an extra-large 132 x 64-pixel graphical LCD showing a clear 5-line data display. To know more, visit my blog. Thanks!